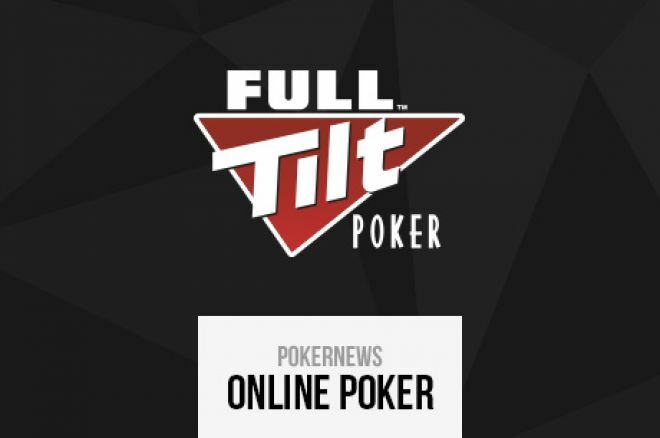 Earlier this month, Full Tilt completely revamped its loyalty program with the creation of The Players Club, which now runs alongside its Edge loyalty scheme, although the latter has also experienced a few tweaks. By the time you have finished reading this article, you'll have enough information to determine which of the two programs is right for you. The Players Club is where good things come to those who play. The Players Club landing page on the Full Tilt site describes the new loyalty program as the place "where good things come to those who play.” Aimed at recreational player, The Players Club offers its members a number of freerolls, a special Weekly Windfall flip freeroll and a special mini-game known as The Deal where players can win cash prizes of up to $200 in addition to the Full Tilt Points, ring game tickets, freeroll entry and a shot at the progressive jackpot. 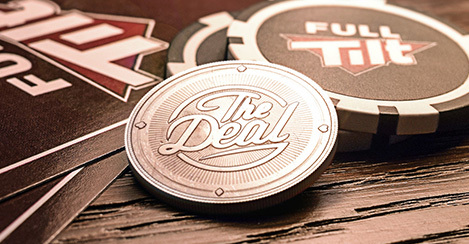 All Full Tilt players are eligible to play The Deal, a mini game that costs one coin or 20 Full Tilt Points per game. When the game is launched, players have the option to play a hand manually or auto-play multiple hands. If a player chooses to play a hand manually, seven cards are dealt face down and the player selects two of them to be discarded. The remaining five cards are then revealed in turn to make a poker hand. How strong the final hand is determines what prize is awarded. Those choosing The Players Club as their loyalty program no longer earn Full Tilt Points but instead are rewarded with Coins that are used to play The Deal. Should they have no coins in their account, players can choose to spend 20 Full Tilt Points per game instead. Mystery prizes are awarded as part of the Weekly Windfall including coins, cash, tickets and entry to a $5K Weekly Windfall Flip Freeroll. 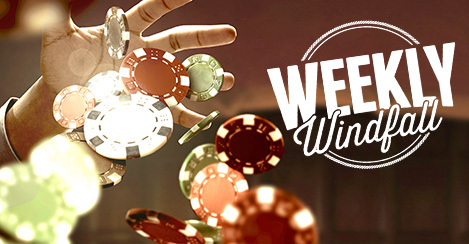 Players gain entry to the $5K Weekly Windfall Flip Freeroll by playing real-money poker on any three days in a week; do this two weeks in a row and a mystery prize is awarded. Keep playing and the prizes keep stacking up. Players Club members can enjoy a number of freerolls throughout the week if they have played real-money poker. Jackpot Sit & Go Freeroll - Win a share of up to $100 in the Jackpot Sit & Go. One can be played every day if you’ve played real-money games in the last seven days. Daily Freerolls – Play real-money games to gain entry to daily $200 freerolls at 14:40 ET and 19:40 ET. $0.50 rebuys or add-ons are available in the earlier freeroll. Weekly Freeroll – Play for a share of $250 by qualifying via one of the 16 Daily Round 1 Freerolls. Coin Freerolls – Up to 500 Coins can be won during the six daily Coin Freerolls. Play real money games on the day of the freeroll to gain entry. Open to all Players Club members, the Club Tournaments run twice per day during the week, cost $0.50 to enter, and have $50 added to the prize pool. Twice on a Saturday, a $1 tournament with $250 added to the prize pool will take place. To celebrate the launch of the new Players Club, Full Tilt is giving away some amazing prizes. First, it is seeding the progressive jackpot of The Deal with $100,000. Second, anyone who completes one of the weekly challenge is registered for a $10K Players Club Party Flip Freeroll on the following Tuesday where two lucky players (and up to five friends) win an all-inclusive holiday that includes flights, accommodation and a $5,000 party! Players can still choose to be part of the Edge rewards system where Full Tilt Points are awarded in lieu of coins. These points can be used in the bonus-filled Edge store and, if Edge Prime status is achieved, can be exchanged for cash at a rate of $1 per 250 Full Tilt Points. All Edge players receive a weekly cash bonus based on their earned Full Tilt Points. Edge level players receive $1 per 100 Full Tilt Points earned, with Edge Plus players receiving $1.50 per 100 Full Tilt Points earned. Anyone in the Edge Prime category receives $2 per 100 Full Tilt Points earned and can convert 250 Full Tilt Points for $1. The Edge Leaderboard remains for hold’em, Omaha, Rush, sit-and-gos and multi-table tournaments with between 50% and 150% cashback boosts for the following month (and up to $500 worth of tournament tickets for the MTT leaderboard) awarded to the top three finishers. Also, some ring games have an Edge badge displayed next to them which indicates extra points are awarded to those who play there. Which rewards program will you choose? Players can chop and change which program they are part of every 24 hours, which gives them the opportunity to enjoy the best of both worlds. Which will you be choosing in the first instance? Play in Two £30,000 Freerolls Every Week at 888poker!